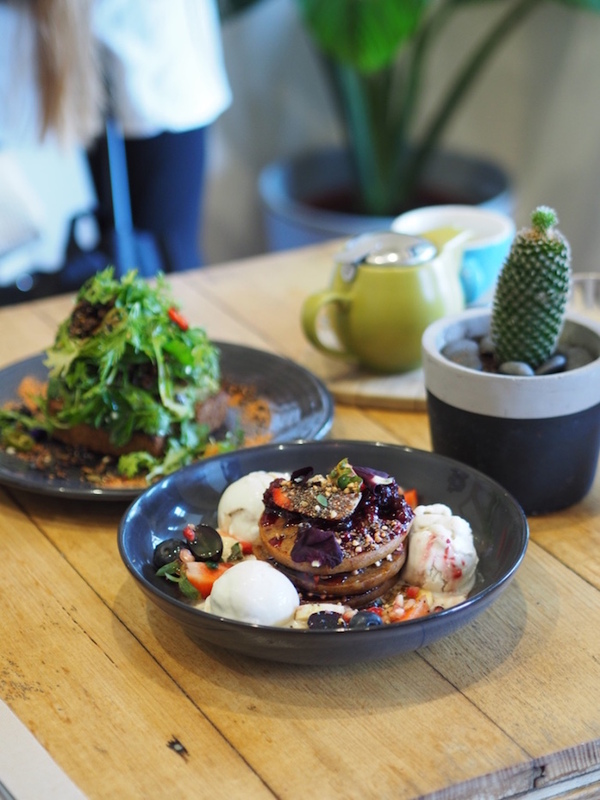 Urban Projuice is one of our absolute favourite cafes in Melbourne, whether it's for breakfast, lunch, a smoothie or a take-away raw vegan treat. This cafe emphasises plant-based, wholefoods, and its dishes are bursting with flavour and freshness. Organic, fairtrade & carbon neutral coffee, with bonsoy milk. 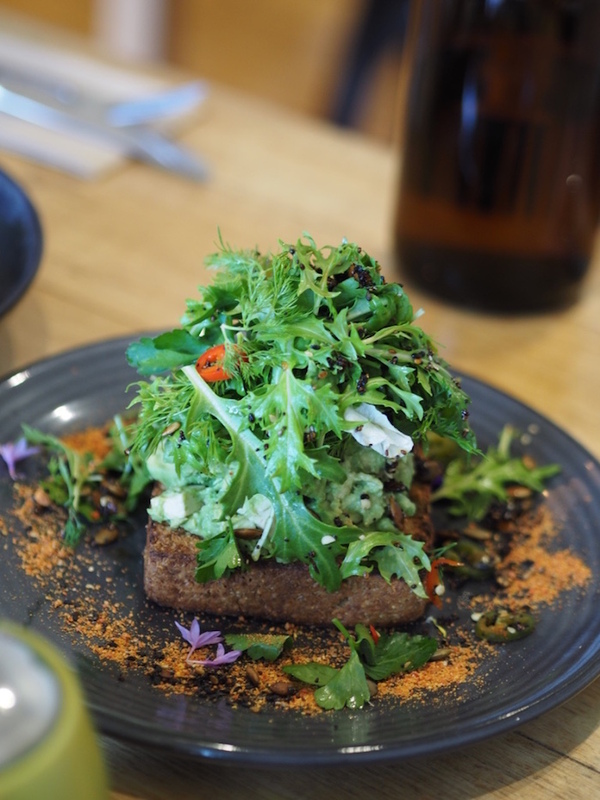 Crushed avocado with housemade vegan feta on grilled essene raw bread, herb + pickled chilli salad, tamari roasted superseeds & tomato dust. Buckwheat Vanilla Pancakes, with fresh fruit, pure maple syrup & coconut ice-cream. Every time we visit Urban Projuice, it takes us a while to decide what to order, because there are SO many delicious options to choose from. Everything on the menu is vegetarian, and most of it is also vegan or vegan-adaptable (yay)! 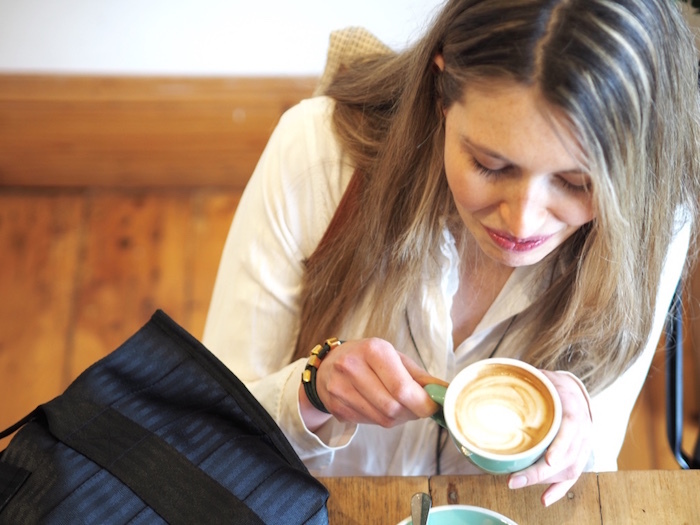 To drink, they offer a wide selection of cold pressed juices, smoothies & vegan thickshakes, herbal teas, kombucha, organic coffee and specialty caffeine-free lattes. For breakfast there are smoothie bowls, pancakes, mueslis, breakfast salads and an absolutely delicious vegan big breakfast (think roasted & sautéd veggies, crushed avocado, zucchini + corn fritters and scrumptious scrambled tofu). The lunch items are equally yummy, with veggie burgers, salads, DIY spring rolls and more on offer. Urban Projuice is also right around the corner from the beach, so you can pick up some goodies from their cabinet (full of raw desserts, cakes, muffins, wraps and vegan sausage rolls) and nibble them with your toes in the sand or the sea..
Have you been to Urban Projuice before? What did you think of it?